Love God, Build Relationships and Improve their Lives. 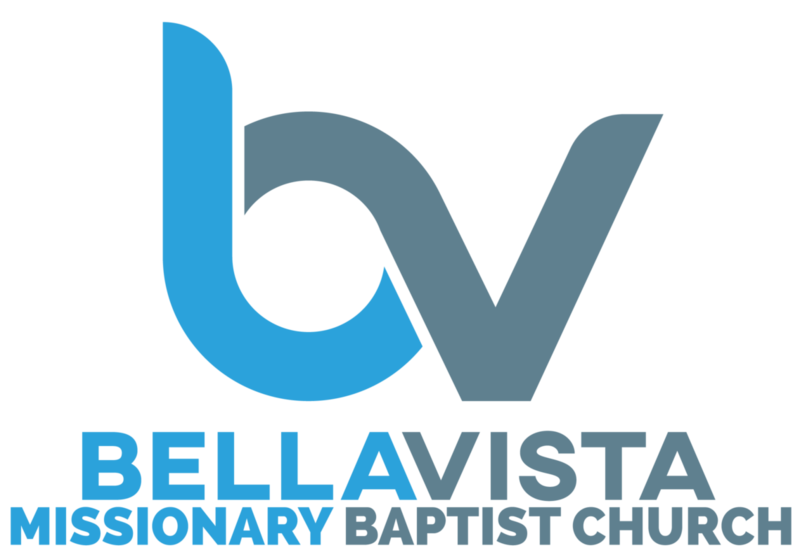 Bella Vista is the Church that Cares! The Bible is our all-sufficient rule for faith and practice. This statement of fundamental truths is intended simply as a basis of fellowship among us (i.e. that we all speak the same things, I Cor. 1:10; Acts 2:42). The phraseology employed in this statement is not inspired or contended for, but the truth set forth is held to be essential for Gospel ministry. No claim is made that it contains all Biblical truth, only that it covers our need as to these fundamental doctrines. The sole basis of all our beliefs is the Bible, God’s infallible inerrant written revelation of His Word. We believe that the scriptures, both the Old and the New Testament, are uniquely and fully inspired by the Holy Spirit and serves as the supreme and final authority in all matters in which it speaks (II Timothy 3:15-17; I Thessalonians 2:13; II Peter 1:21). Man’s only hope of redemption is through the shed blood of Jesus Christ the Son of God. It is wholly the work of God’s free grace and is not the work, in whole or in part, of human works, goodness or religious ceremony (Ephesians 2:4-10). Salvation is received through repentance toward God and faith toward the Lord Jesus Christ by the regeneration and renewing of the Holy Spirit, being justified by grace through faith, man becomes an heir of God and a joint-heir with Jesus Christ according to the hope of eternal life (Luke 24:47; John 3:1-21; Romans 10:13-15; Titus 2:11; 3:5-7). It is the privilege of all who are born again by the Holy Spirit to be assured of their salvation from the very moment they trust in and confess Jesus Christ as their Lord and Savior. This assurance is not based upon human merit, but is produced by the witness of the Holy Spirit, who confirms in the believer the assurance of their salvation according to the testimony of God’s Word (Romans 8:35-39). The inward evidence of salvation is the direct witness of the Holy Spirit (Romans 8:16) and the outward evidence to all men is a life of righteousness and true holiness unto God (Ephesians 4:24; Romans 6:1-18; 8:1-9). The Holy Spirit has come into the world to reveal and glorify Jesus Christ and to apply the saving work Christ to men. He convicts and draws sinners to Christ, imparts new life unto them, seals them until the day of redemption, leads and aides them in a life of holiness unto God not fulfilling the lust of the flesh, and equips them for service and work in God’s Kingdom bearing spiritual fruit unto the glory of God. Every believer is called to live under the power of the indwelling of the Holy Spirit and should ardently expect and earnestly seek the promise of the Father, the baptism of the Holy Spirit, according to the command of our Lord Jesus Christ (Luke 24:49; Acts 1:4-8; I Corinthians 12:1-31). With the baptism of the Holy Spirit comes an overflowing fullness of the Spirit (John 7:37-39; Acts 4:8), a deepened reverence for God (Acts 2:43; Hebrews 12:28), an intensified consecration to God and dedication to His works (Acts 2:42), a manifestation of the fruit and gifts of the Spirit (Galatians 5:16-26; Romans 12:3-9; I Corinthians 12:1-31). Sanctification is an act of separation from that which is evil, and of dedication to God (Romans 12:1, 2; I Thessalonians 5:23; Hebrews 13:12). The Scriptures teach that the goal of believers is to pursue a life of “holiness without which no one can see God” (Hebrews 12:14). Through the power of the Holy Spirit we are able to be obedient to God’s command: “Be ye holy, for I am holy” (I Peter 1:15, 16). Sanctification is the process whereby we are saved from the power of sin in our lives through a commitment to the spiritual disciplines of prayer, daily devotions and worship, the study of God’s Word, and the fellowship of believers (Romans 6:1-13; Romans 8:1, 2, 13; Galatians 2:20; Philippians 2:12; I Peter 1:5). There are two ordinances of the church – Baptism and Holy Communion. The ordinance of baptism by immersion is commanded in the Scriptures. All who repent and believe on Christ as Savior and Lord are to be baptized as they are physically able and have opportunity. (Matthew 28:19, 20; Acts 8:26-38). Baptism is an outward sign of an inward spiritual renewal and rebirth. Thus they who are baptized declare to the world that they have died with Christ and that they also have been raised with Him to walk in newness of life (Acts 10:47, 48; Romans 6:4). Holy Communion, also known as the Lord’s Supper, consisting of broken bread, the body of Jesus Christ, and the fruit of the vine, the shed blood of our Lord and Savior, is the symbol expressing our sharing the divine nature of our Lord Jesus Christ (II Peter 1:4); a memorial of His suffering and death (I Corinthians 11:26); our fellowship and communion with all believers (Ephesians 4:4-6); and our prophetic expectation of His second coming (I Corinthians 11:26). We accept these large areas of doctrinal teaching on which, historically, there has been general agreement among all true Christians. We desire to allow for freedom of conviction on doctrinal matters, provided that any interpretation is based on the Bible alone, and that no such interpretation shall become an issue that hinders the ministry to which God has called us.